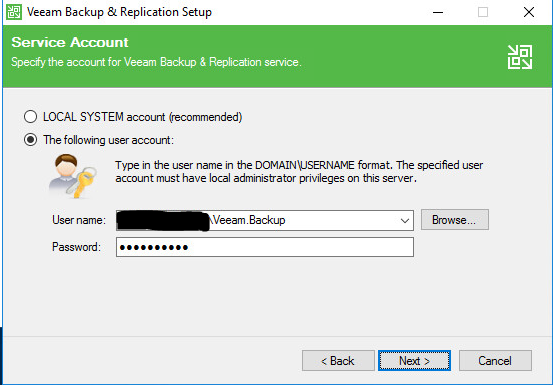 What is Veeam Backup and Replication? It’s an enterprise backup and replication solution for organizations’ of all sizes. The company became wildly popular years ago when it made Virtual Machine backups so easy a cave man could do it. The product has matured a good bit, and now offers “physical” support for both servers and workstations. 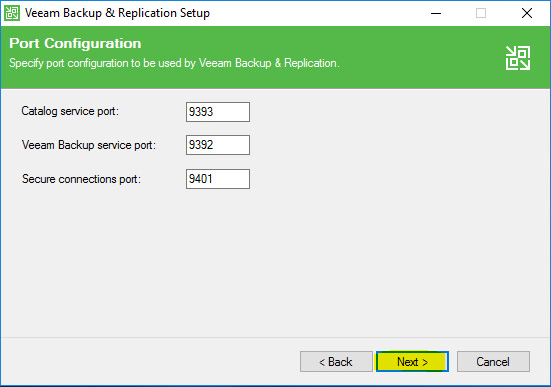 This newly added feature really leveled the playing field when comparing Veeam with legacy backup solutions. 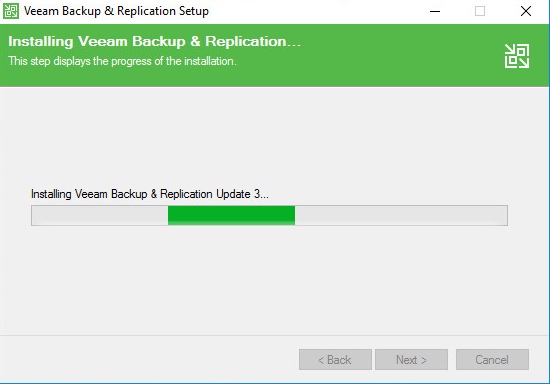 With that said, let’s launch the installer and get started! First, download the software installation package and unzip. Once unzipped, you can select which installation method you prefer. 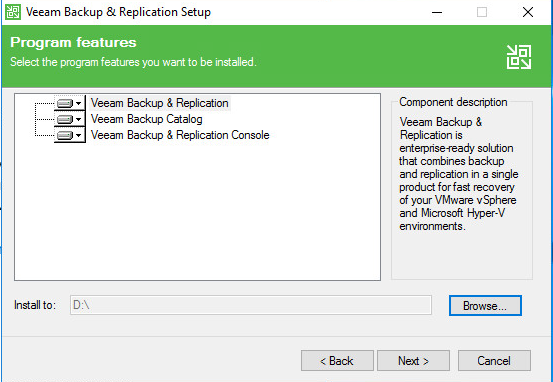 Clicking the “install” on the left column will install everything needed; however, I’ve decided to perform a custom install, so I selected “Veeam Backup and Replication” from the right column, underneath standalone components. 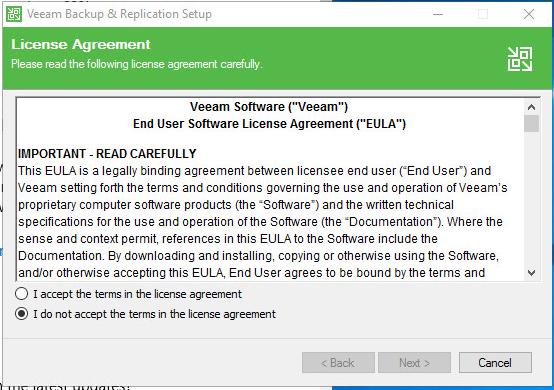 Select “accept” under the license agreement. 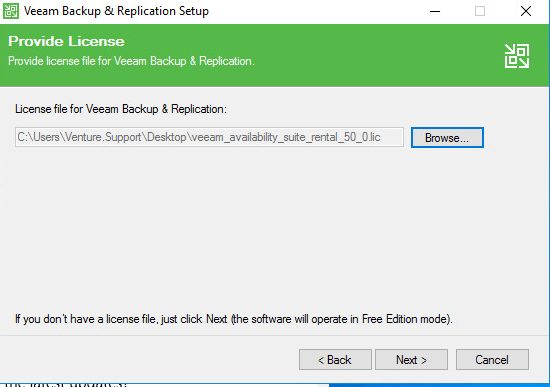 Select next to continue and browse to your license key. If you are using the trial feature, you may continue in Free Edition Mode. Select the location you wish to install the application. In my install, I’ve chosen to install the application on the D:\ drive in order to maintain a clean C:\ drive. 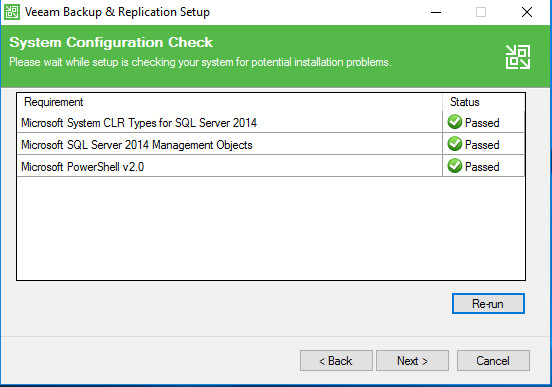 Next, a System Configuration Check will greet you. 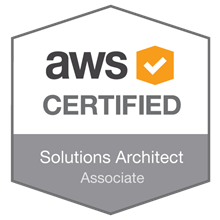 Select install to meet and outstanding minimum system requirements. The system now enables any missing features. This could take some time. Previous system requirements are now installed. Select next to continue. Once completed, select next to continue the installation. Select next if you wish to install using the default settings. 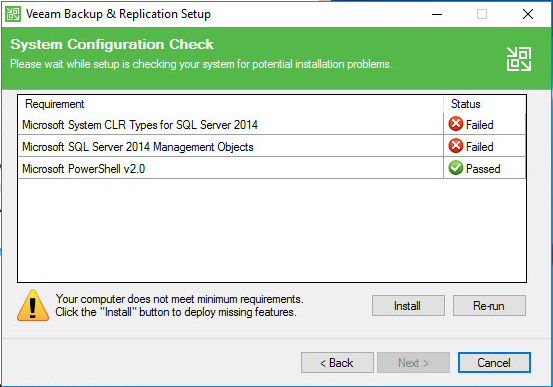 Since I am using the full edition of SQL for installation, I’ve selected “Let me specify different settings” in order to provide the SQL Server settings. Provide system credentials. These will be used by the software to login, etc. Please review best practices to determine if Domain VS. Local Accounts are to be used. Each environment is different, for me a local account is sufficient. 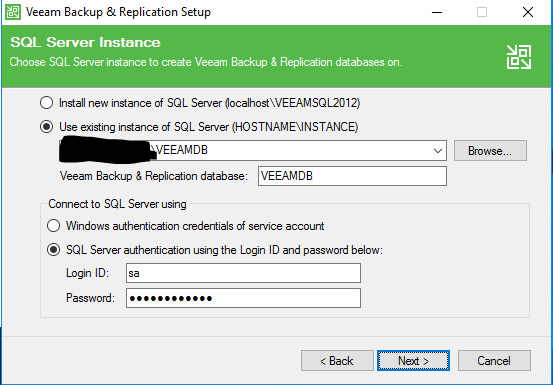 Provide the necessary SQL DB name, login credentials, etc. 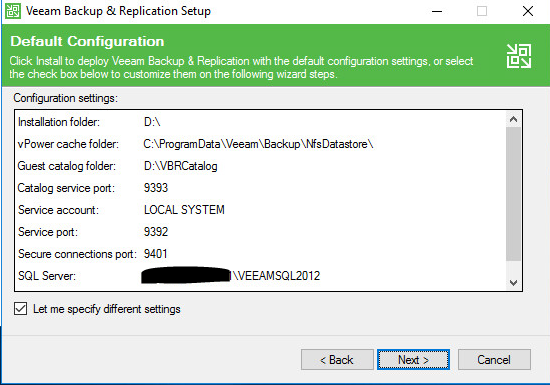 This particular setup consists of a separate SQL server that will run Veeam’s DB. 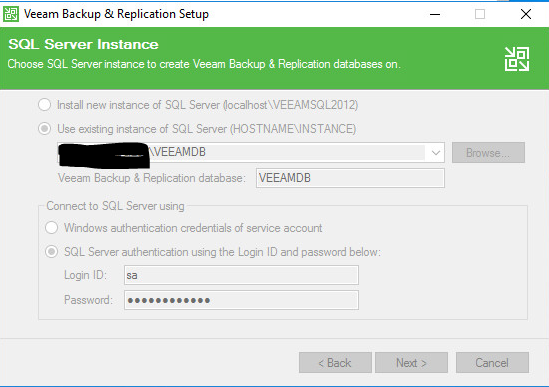 While you can have SQL on the same box, I have chosen to have a separate SQL server to house the DB. Once again, check your environment for best practices, etc when determining if SA or Windows authentication should be utilized. 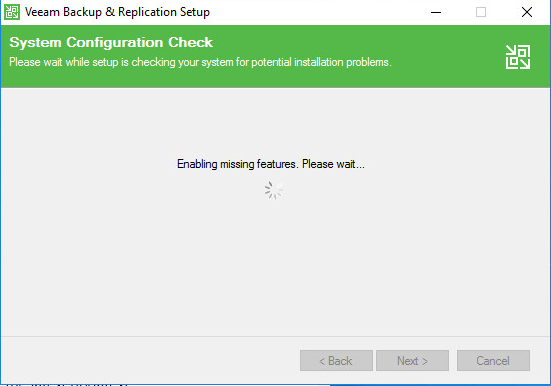 Once the necessary information has been entered, select next to continue installation. Select next, I’ve kept the service ports default. 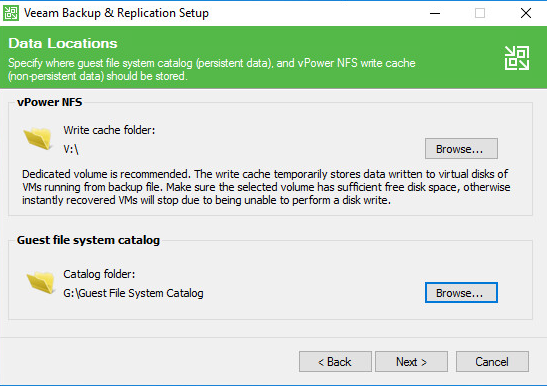 Next, select the data locations for the vPower NFS and the Guest File system catalog. 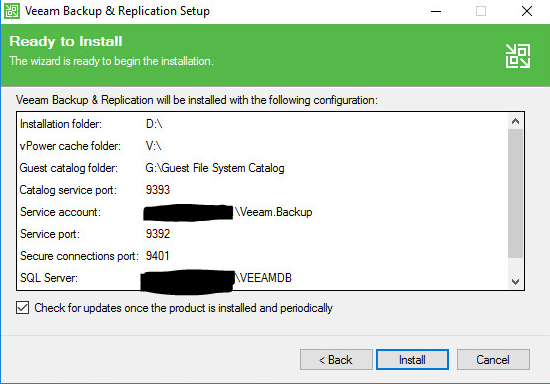 I’ve decided to create two additional drives on my backup server for these features. This will ensure uniformity and allow things to stay organized. Finally, review all system settings and click install to commence installation. 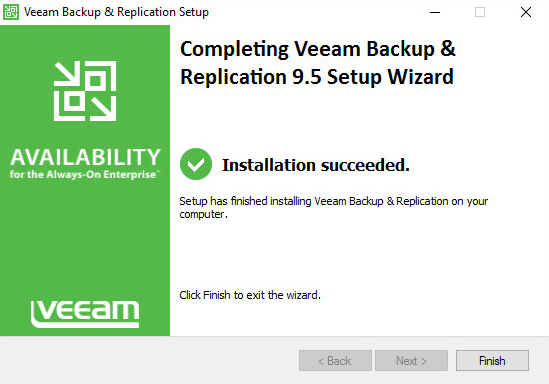 Veeam Backup and replication now begins installation. 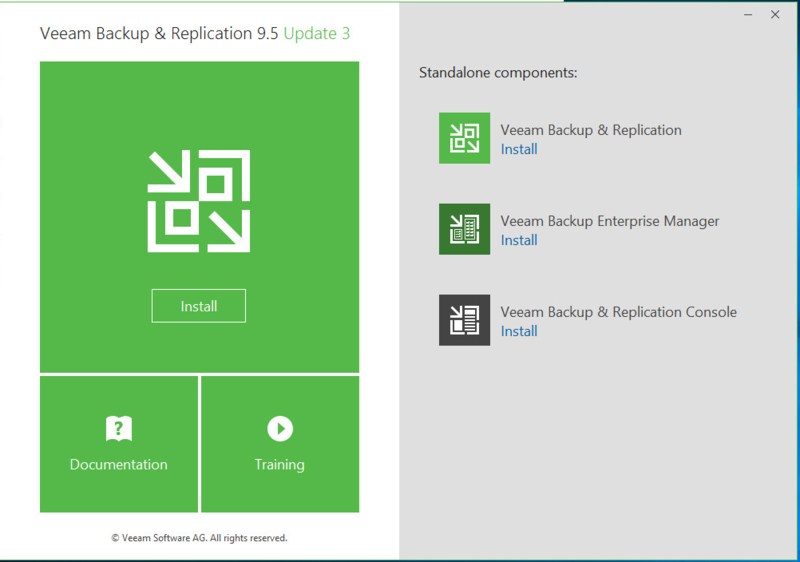 Once the install completes, the “Update 3” will automatically be applied during the install process. Installation was successful! Select Finish to finalize the setup and reboot. 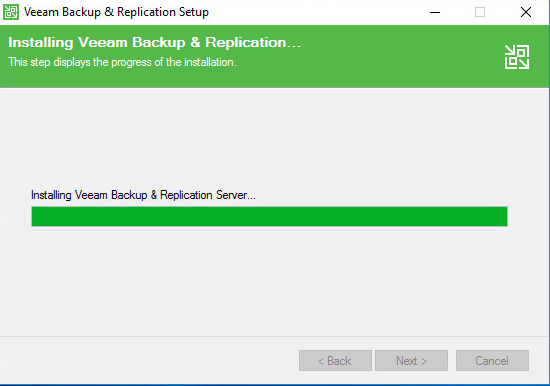 You have just successfully installed Veeam Backup and Replication. Stay tuned, more to come!